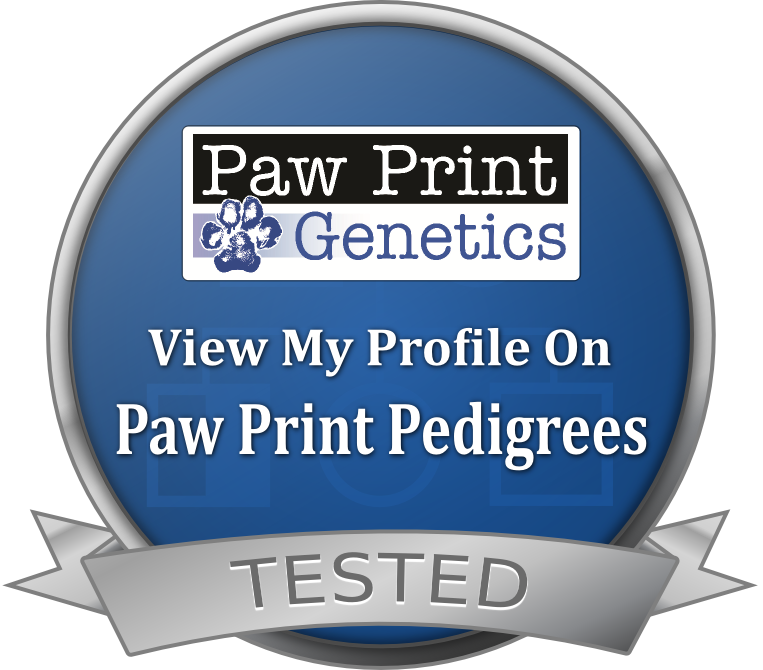 Breeder of AKC Parti and Phantom Standard Poodle and Labradoodle Puppies! Located in Sunny Southern California!!! 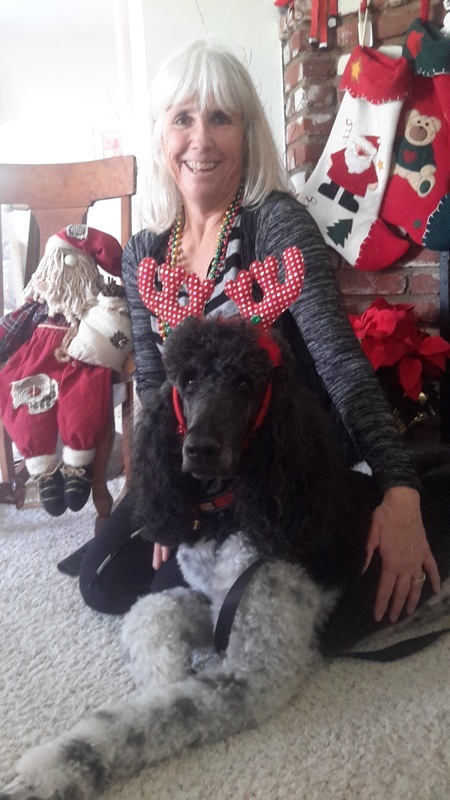 Lola and Dexter are excited to announce the birth of their 8 AKC Standard Poodle puppies born March 24, 2019. 6 boys and 2 girls, this colorful litter can be seen on Lola's puppies page. Now taking deposits!!! Only 3 boys and 1 girl left! Welcome to Reese's Pieces Poodles. 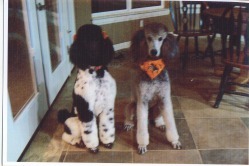 We have named our program after our foundational female, Reese, a black and white parti AKC Standard Poodle. Her regal beauty and calm, loving disoposition is the cornerstone of the pups we breed for. Our AKC Standard Poodle puppies are of such high quality, 2 have been chosen by Guide Dogs of the Desert to help develop their Standard Poodle breeding program. We are located in the beautiful high desert of southern California and breed only 1 to 2 litters a year. Our dogs are our family. Our pups are born in our home, raised indoors, loved on, sung to and handled daily so that when you get your new family member, he or she is a well socialized and ready to train pet. Thank you for visiting our site. I hope you enjoy the pictures of our newest litter, past litters and of our "kids". If you have any questions or would like to inquire about one of our puppies, please go to our contact page or email me direct at: lewispoodles@gmail.com.